Growing up, most children tend to pick up certain character traits from members of their immediate families. This concept even applies to the process of language acquisition. Where the child, though he has the necessary in-built potential to pick up any language in the world, yet picks up the language spoken by members of his immediate family. This establishes a pattern that is worthy of note. And this is the fact that, human beings have a wide variety of options to choose from as to what to do, but due to external influences, specific decisions are made. The issue of influence is one that is very essential yet often treated as a trivial subject. One could be influenced by a lot of things since the world we live in is one full of determined entities trying to swiftly grasp the attention of men. In the sense that, everything around us could be that push for us to either take an action or remain inactive. The mystery remains as to what goes into the decision process for an individual to take a particular action and not the other. For example, why won’t a reggae music fan be influenced to buy a ticket of a particular gospel music concert after watching the advert on T.V? Basically, this is due to the fact that no matter how strong a particular influence is, for it to weaken the strong will of the individual, he must first have the inward desire for it. Hence that reggae music fan will experience a surge of compelling emotions when he sees an advert concerning a reggae concert than that of a gospel music concert. Well, it is just a basic concept that compels us to make certain decisions in our everyday lives. Nevertheless, there are exceptions to every rule. There are certain times where the individual has no inward desire for a particular commodity yet is totally influenced by the constant contact he has with users of that commodity or its advertisement. This is very much the foundation of peer pressure. Individuals can be introduced to particular commodities by friends and they would remain hooked on it for the rest of their lives. These commodities can be things that even go against the moral standards set by the individual himself yet due to the persistent push from external forces, he might just lower his standards and give in easily. The bottom-line is, having standards is not enough one should also consider being careful what he is exposed to knowing the fact that becoming addicted to anything at all is possible. But then again, one may argue that individuals must be able to decide what to be influenced by. This statement is partially true, especially in adults. The effect of influence is severe in children(the youth) who basically are not mature enough to know what is good or not yet have been exposed to a wide range of lifestyles. This brings to mind the contribution of THE MEDIA to the socialization of the individual. I am very much concerned about the media (both electronic and print) in this issue of influence. As if they care less how negatively some of the contents of their programs influence the little ones, they simply flood our airwaves with filth. 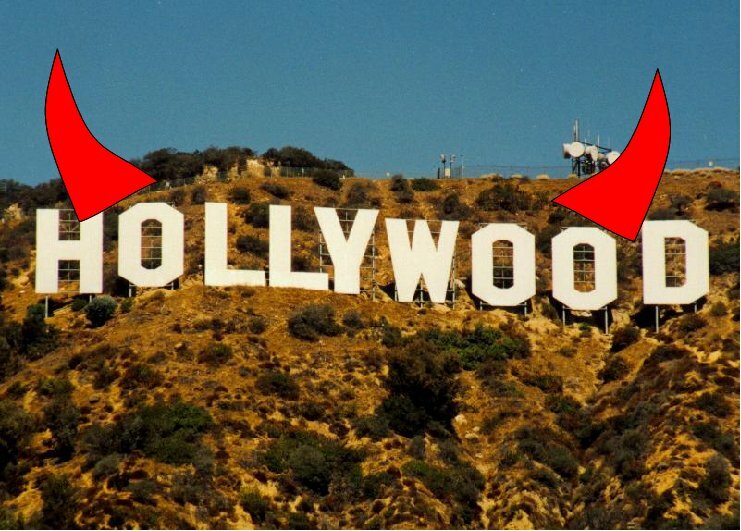 This leaves young people more exposed to Hollywood than they are to the realities of life. What one sees and hears has a great influence on him as an individual. As a matter of fact, one could be totally influenced without he even realizing it. This concept is what even influences the pattern of fashion and the genres of music that are in vogue in these present times. It is proven scientifically that, music has a way of penetrating into the deepest parts of our brains without our permission hence sometimes we are able to learn songs unconsciously. ‘See one, do one, teach one’ is a theory in most practical fields of study and it has to do with the fact that the student is allowed to see a process being done once, he is then supposed to repeat it and then afterwards teach another person. It’s amazing how one can be greatly influenced by what he sees. But apparently, the T.V stations are themselves ignorant of this concept. Showing whatever pleases them to the general public and thereby exposing the little ones amongst us to all sorts of social vices. The most annoying argument they put up in their defence of this, is that parents should be responsible for allowing their children to remain exposed to such programs on T.V. This is one of the most absurd arguments ever. Here you are as a T.V station, airing next to trash programs, and blaming parents for not being responsible???? This is just like the guy who throws rubbish on the streets and blames ‘ZOOMLION’ or any other waste management company for not doing its work. If only somebody would realize he is the one turning the airwaves into a refuse dump, the work of those responsible would be easier. What pisses me off most is the surge of Mexican and Indian soap operas that has invaded our T.V screens. It’s either ‘cursed by the sea’, ‘Alihandro and Juliette’ or even ‘la mujer le mi vida’ (whatever that means) on my T.V screens every evening. What have these got to teach anybody at all. Kmt!!!!! They just make young people disillusioned about the realities of love life, marriage etc, especially our ladies. This puts unnecessary pressure on us, as guys. So now, when you don’t buy flowers for that special person you are as far away from being romantic as scientist are from THE TRUTH. Very very annoying. Anyway, be careful what you are exposed to, no matter how it doesn’t conform to your moral standards, you just might open up to its influence due to constant contact. I feel the creative streak in this writer….stupendous!